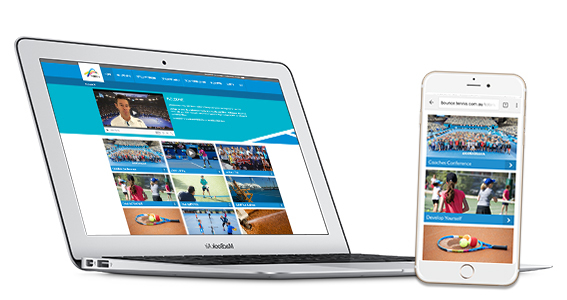 Bounce is Tennis Australia’s award winning online learning platform providing you with access to contemporary learning anywhere, any time and on any device. Created by Coach Development, Bounce can supplement your world-leading qualifications and keep you up-to-date by providing more professional development opportunities than ever before. This innovative platform is also used to complement the delivery of Tennis Australia Junior Development, Club Professional and High Performance coaching courses. How can you access Bounce? Log in here if you are a Tennis Australia Coach Member. If you are logging in for the first time, enter your email address in the username field. Click on “forgot your password” to request a password reset. You will be sent instructions to reset your password. Do not create a new account. If you need to update your email address, call 1800 PLAY TENNIS. Register here to become a Business Package, Qualified or Trainee coach member and gain access to Bounce or email [email protected] for more information.